The lake was teeming with life. 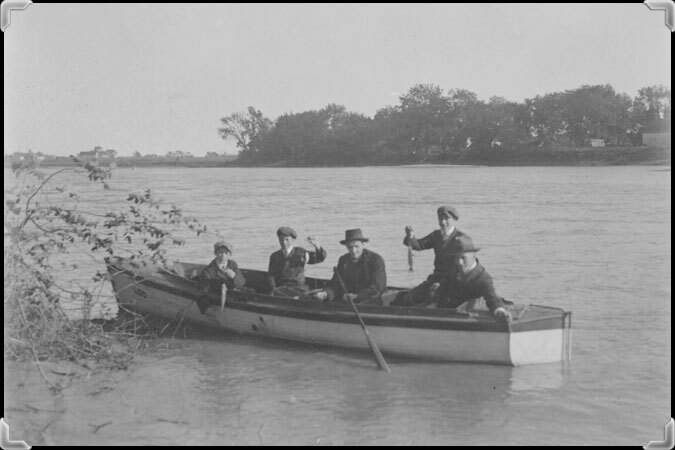 People would fish for a type of trout, similar to steelhead, as well as many less sought-after species, such as eel, carp, perch, turbot and bullhead. It was also home to flocks of Black Ducks, which could be seen paddling back and forth, as well as gallinules, teal and all sorts of other birds. There are nearly 80 species of fish in Lake Saint-Pierre. 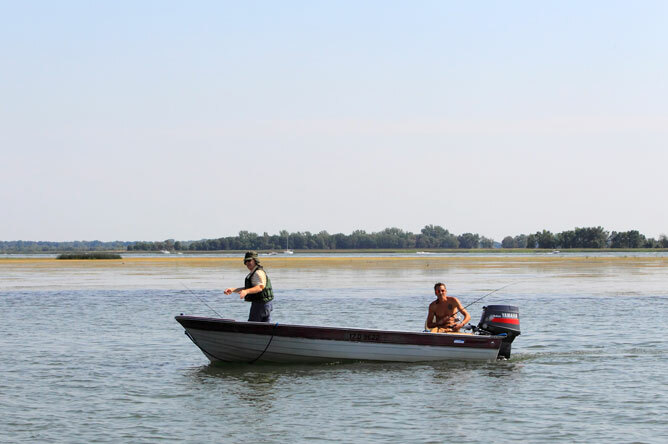 The main species targeted for sport fishing are Walleye, Largemouth Bass, Northern Pike and Yellow Perch. However, a five-year moratorium on Yellow Perch has been in place since 2012 in Lake Saint-Pierre. This strict measure was necessary to protect this species from extirpation. It is hoped that Yellow Perch stocks will recover over the five-year period, but efforts will have to be made to improve water quality, which has declined significantly in recent years. Low water levels, climate change, agricultural practices that rely on heavy fertilizer use, sedimentation from the erosion of deforested shorelines, outdated water purification plants, and the introduction of invasive exotic species that compete with Yellow Perch for resources have all contributed to the steep decline in Yellow Perch stocks observed in Lake Saint-Pierre. The Pourvoirie Domaine du Lac St-Pierre outfitting operation is located in Louiseville on the shore of the Grande Rivière du Loup. 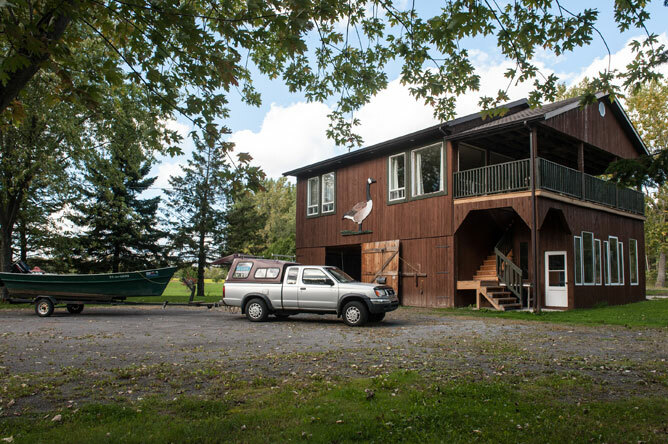 It is equipped with a launch ramp and rents out boats, cabins and campsites. 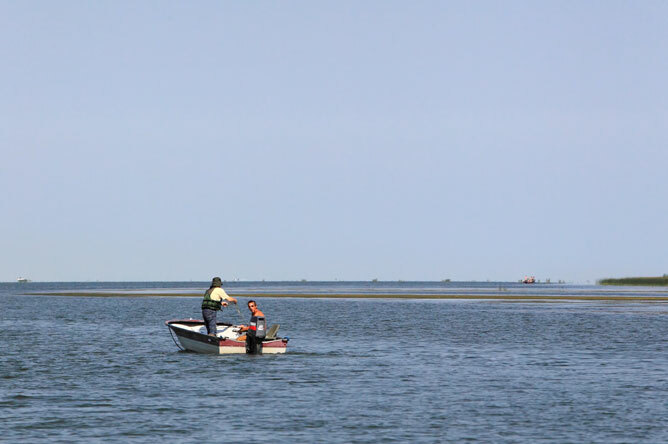 Fishing is practised year-round, and the outfitting operation offers guided Walleye, Largemouth Bass and Northern Pike fishing tours. Visitors can also go on a guided nature tour of the islands aboard a motorboat.